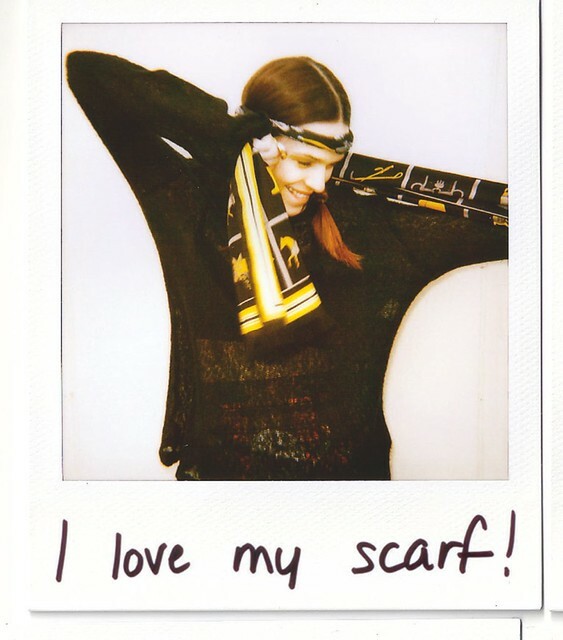 Hermes are hosting I love my scarf parties in east and west london to celebrate their current campaign. I have alwaaaaaays wanted a Hermes scarf as I have a scarf collection they are the ultimate silk scarf! J’aime mon carré will find its way to both East and West London, unexpected locations for a strictly limited time. East - celebrate the who and how of the scarf at the Rochelle School of Art in Shoreditch between the 18th and 21st November. West – join the celebrations on Ledbury Road from the 25th November. Imagine one photographer, one art director, one stylist all working together four cities New York, London, Paris and Tokyo with 7 girls, 4 boys, 250 scarves, a lot of photo booths, 2 dogs, 79 birds, 8 miles of pavement, 680 cups of green tea, 30 cakes, 10 hot dogs, 300 knots, some friends from 24 Faubourg St Honoré in Paris and suitcases of talent and fun – singing, laughing, dancing, posing and kissing.